Fisker should be renamed "fiasco", for that is what it has become. It appears that the Obama administration. was warned as early as 2010 that electric car maker Fisker Automotive Inc. was not meeting milestones set up for a half-billion dollar government loan, nearly a year before U.S. officials froze the financing in June 2011, when the Energy Department halted further funding. This was done after Fisker presented new information that called into question whether key milestones - including launch of the company's signature, $100,000 Karma hybrid - had been achieved, according to a credit report prepared by the Energy Department. 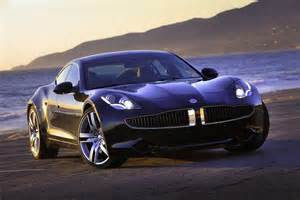 Fisker had received a total of $192 million of the $529 million loan before it was suspended. It should be noted that the plant was never completed and never produced any Fisker cars. In the June 2010 email, Sandra Claghorn, an official in the Energy Department loan program office, wrote that Fisker "may be in limbo due to a lack of compliance with financial covenants" set up by the department to protect taxpayers in the event of default. Another document, from April 2010, listed milestones that Fisker had not yet met. The potential loss of $171 million would be largest loss of federal loan money since the failure of Solyndra a solar panel maker. That company's collapse, which came despite a $528 million loan from the Energy Department, has triggered criticism of the Obama administration's green energy program. The Energy Department seized $21 million from Fisker this month as it continued to seek repayment from the car maker for the 2009 loan. A payment from Fisker was due Monday but was not made, an Energy Department official said. Rep. Jim Jordan, chairman of the Oversight subcommittee on economic growth and regulation, said it is hard to understand why the Energy Department ever thought Fisker was a viable company that should receive taxpayer money. Henrik Fisker, the company's namesake and founder, was scheduled to testify at Wednesday's hearing. Fisker, who was forced out as CEO as the company's troubles mounted, said in prepared testimony that he remained proud of the company's "cutting edge technology," which he said could "pave the way for a new generation of American car manufacturing." Fisker disputed claims by some critics that the Anaheim, Calif.-based company needed the federal loan to survive. Fisker said a high-ranking Energy Department official approached him in 2008 and asked him to apply for the loan, which is intended to boost electric cars and other advanced vehicles. It was Vice President Joe Biden who announced in late 2009 that Fisker would reopen a shuttered former General Motors factory in Wilmington, Del., to produce plug-in, electric hybrid vehicles. What does Joe Biden have to do with Fisker Automotive? On the surface, the answer would seem to be nothing at all, or at least it did until the Biden himself revealed the startup automaker's plans to introduce a new series of electric vehicles under the Project Nina banner. Not only that, Fisker just so happens to have decided to build cars in Bidin's home state. Coincidence? Fisker has denied that any political influence was used to obtain the loan or in negotiations over its terms, according to Russel Datz spokeman for Fisker, coincidence is exactly what it is, a good number of reasons exist to choose the former GM plant in Wilmington, Deleware, and the fact that it's Biden's home state is not one of them. Claymont, Deleware home of Biden is roughly eight and a half miles from Wilmington. Nicholas Whitcomb, who directed the Energy Department’s advanced-vehicle loan program until recently, testified that $8.4 billion in advanced-vehicle loans have been given out to five auto companies so far. While Fisker has performed poorly, he said, loans to firms like Ford, Nissan, and Tesla have helped build factories and are all scheduled to be repaid. Fisker ran into trouble from the get-go. The company’s business model was to design an attractive sports car and then purchase off-the-shelf parts from suppliers. But that unusual strategy carried risks. Fisker’s real legacy may be the damage it has done to federal support for other electric vehicles. The Energy Department hasn’t ”closed on a loan or loan guarantee or conditionally committed to do so under either program since September 2011.” The reasons? Applicants are skittish about going through a “lengthy and burdensome” application process and facing the same pressures that faced companies like Solyndra and Fisker. Efforts have been make to blunt other criticism of the loan by the Obama administration, by stressing that Fisker was an anomaly. Supporters of the Obama Administration's "green energy" loan program have banged away at the idea that Fisker's problems stem from a lack of demand for electric cars in general, but the government should press on because it is in their opinion the right thing to do. It was announced in August 2012 GM, would be halting the manufacture of its infamous Chevrolet Volt for at least four weeks, few were shocked. The Volt was awarded the 2010 "car of the year" title, but As of this writing, GM has sold 10,666 Volts through July, which, luckily for the automaker, is a major improvement over the 2,870 it sold at this time a year earlier. GM had made predictions that this year, over 45,000 units of the car would be sold. In other words, even if Fisker is an outlier, it’s casting a long-shadow over electric-car policy. 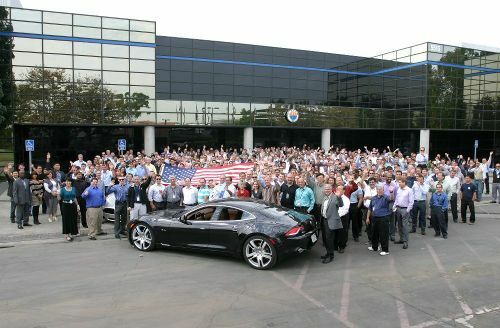 A report on ABC News' "Good Morning America" about Fisker Automotive, the recipient of a "green energy" loan in 2010, quoted auto industry experts who said Fisker's loan invited comparisons to the ill-fated Energy Department loan to Solyndra, a solar panel manufacturer that received $535 million in taxpayer support, declared bankruptcy earlier this year. That federal loan is now the subject of investigations by the Justice Department and by inspectors general from the Energy and Treasury departments. The Washington Post has discovered that the Energy Department quietly eased expectations for Fisker's projected car sales volume after it conditionally approved the loan, and made allowances for scaling back projections in the final loan agreement, this is not the way tax payer money should be spent. The Fisker folly, and its failure, reeks of government cronyism and waste, someone should be held accountable. In an investigation a year and half ago 60 Minutes uncovered evidence of several instances of insider trading among prominent government officials. In a hurry then to save our public servants from embarrassment, President Barack Obama jumped on board. "Send me a bill that bans insider trading by members of Congress," the president declared in his 2012 State of the Union address. "I will sign it tomorrow." The bill sailed through the Senate on a 96-3 vote, passed the House 417-2 and Obama promptly signed it, noting that its disclosure, and accountability requirements would apply to and demand transparency from virtually everyone in government who had access to inside financial information. Now this has been undone, my tip off was a April 27th Chicago Tribune editorial that reported Congress had voted last month to repeal part of the STOCK Act that became law just a year ago. The act was designed to discourage insider trading by members of Congress and top government officials. In addition to outlawing trading based on non-public information gleaned by government officials during the course of their public duties, the law required extensive disclosure of financial holdings by Congressional staffers and 28,000 senior executive branch employees. Well, if you had any real confidence that the STOCK Act would really clean out the insider trading stables in Washington, think again. With both old holes and recent new holes in this smelly piece of legislation it should be renamed "The Rules don't Apply To Us Act" or the "More Cheese For The Rodents Act". While almost no one was looking, this law making it easier for congressional and top executive branch staffers to engage in corrupt trading was signed into law Monday. The law is a modification of the Stop Trading on Congressional Knowledge STOCK) Act. The modification was passed by unanimous consent by both the House and the Senate last week with no debate or even discussion. Don't expect to see, or hear anything about this, on either the news or Sunday talk shows. If you wanted to see the financial disclosure forms, you’d have to go to the Cannon House Office Building in Washington where all the public records are kept. Only there can you search a database to find the disclosure forms for those who have filed them. But even then, it’s not that easy to find what you’re looking for, the database itself is almost meaningless and the only option for those who want to get a comprehensive look at what some 2,900 staffers have filed is to review the cases one by one, and that’s just too big a job for anybody to do. The STOCK Act was supposed to make this task easier with records posted online in a searchable, sortable and downloadable format. If you wanted to see who traded health care stock just before a committee acted on a health care bill, it was suppose to be easy, no trips to D.C. required. The bill gutting the prior law and signed by the President last week, however, delayed “the creation of systems that enable public access” to this information until January 2014. Portions of the STOCK Act have been delayed several times already, and with eight months to go, Congress has plenty of time to delay this measure even further, or maybe even repeal it entirely. Before the STOCK Act, insider trading was legal for government officials but illegal for everyone else. The President acknowledged this when signing the bill, arguing that “the powerful shouldn’t get to create one set of rules for themselves and another set of rules for everybody else.” I have not heard of any flowering and reform glowing rhetoric being attached to this recent law. It is amazing how quickly and quietly this was done, this proves our government is very efficient and can act quickly and decisively when it benefits our so called public servants in Washington. Congress showed a rare bit of shame after "60 Minutes" reported on stock trading that smelled of opportunism by key members of the House and Senate, but that guilty feeling did not last. The General Accounting Office recently concluded that there are no laws or ethics rules that specifically govern the sale of information by a political intelligence firm. Again it appears that the allure of the cronyism and dirty money is just too much for those in Washington to resist, financial reform does not exist is the black hole known as our nations capital. Still it’s a surprise that Congress passed the law with unanimous consent. Not one of these clowns stood up for us. Footnote; My original post on this the subject of insider trading by government officials can be seen at the link below. Do not be surprised if I'm less then kind to the Washington crowd. Spain Can't Catch A Break! Today Spain is in even worse shape, then when the interest it was paying to borrow money was soaring. The rate dropped when the ECB stepped in and started buying bonds to push the rates back down, this gave the country more time to get its economy back in order. Now many economists believe that proposals going forward must focus less on austerity and more on stimulus measures and structural reforms. The news coming out of Spain will be watched closely amid a growing debate in Europe about whether austerity plans should be reined back. Prime Minister Mariano Rajoy's government will soon unveil new economic reforms as Spain continues to have violent anti-austerity protests. On Thursday, police reported a number of injuries and the arrest of people suspected of planning to burn down a bank. Spain is in a great depression that is terrifying, years after its housing boom turned to bust, the 27 percent plus unemployment rate is almost too horrible to comprehend. Protest were again in full swing on Friday, the day official figures showed that unemployment in the eurozone's fourth largest economy rose again in the first quarter of 2013. The young have been hit hardest, unemployment reached 57.2% among people under 25 years old, the National Statistics Institute said. With Spain's housing bubble burst and the economy contracting, Mr Rajoy's conservative Popular Party was swept into power in a landslide general election win in November 2011. Since that time the government has reformed the labor laws to make it easier to hire and fire workers, and imposed tough austerity measures to cut the deficit thus saving the country 150 billion euros or $195 billion by 2014. Back in July of 2012, the story was about how the summer before police fired rubber bullets into crowds after thousands took to the streets in Madrid to protests against government measures. This occurred as Spain's government announced sweeping new austerity measures. At the time Prime Minister Mariano Rajoy said sales tax would rise from 18% to 21%, and local authorities would have their budgets slashed. This was part of a deal with eurozone leaders to help rescue Spain's banks. The move coincided with a miners' rally in Madrid, a large number of people joined in the rally to support the miners who had been campaigning for weeks against major cuts to industry subsidies. Witnesses said protesters out to support the miners threw fireworks, bottles and stones at riot police as the officers fired rubber bullets and charged at the demonstrators. The economy contracted by 1.37% in 2012, the second-worst annual decline since 1970. The government forecasts that it will shrink again by between 1% and 1.5% this year. There have been widespread reports that the new measures will focus on structural reforms rather than more spending cuts. These may include changes to the public pension system to speed up a planned rise in the retirement age, and an end to inflation-linked reviews of pension payments. There may also be a review of unemployment benefits and measures to boost small business growth. Going forward the economy is expected to be tough with no easy answers or silver bullets available as an fast fix. Over 19 percent of the total workforce has not had a job in the past six months; 15.3 percent have not in the past year; and 9.2 percent have not in the past two years. This is a 1930s style disaster with little in the way of hope or relief visible down the road. Spain seems to be a country that can't catch a break, add to Spain's woes a massive Catalan separatist march in Barcelona that took place recently, it was the biggest since the 1970s. The country's crushing recession has had a divisive consequence on the nation, fueling a soaring popular sentiment in Catalonia and Spain’s second largest city. Many in the affluent region think they would be better off as separate nation. The Spanish government says that a decision for Catalonia's seven million citizens to decide they want to break away from Spain would be unconstitutional, but even such talk adds heat to the problems burning during these restless times. The percentage of exterminators dealing with bedbugs in nursing homes has also almost doubled since 2010, to 46%. . Hospitals are already cracking down on anything that could increase the risk of patient infections, which not only can be deadly but may also lead to more readmissions and reduced federal funding under the Affordable Care Act. While bedbugs have not been found to transmit infections to humans, they leave itchy bites after feeding on people’s blood, which can lead to secondary infections when victims scratch, opening themselves up to bacteria. This is especially problematic in hospitals, where this increases the likelihood of catching highly potent and contagious staph infections. While hospitals are putting a growing emphasis on strict cleanliness and sterilization protocols, bedbugs still arrive via the many patients and visitors going in and out of their emergency rooms and waiting areas. The high instance of bedbugs in nursing homes is also concerning, because hospitals receive many transfers from such facilities, and elderly people often don’t exhibit the same telltale signs of bedbugs, the red, raised, itchy lesions that other patients do. If bedbugs become a problem in a hospital, they can be a persistent nuisance. These bugs like to hide out in dark places where they are out of site. They come out at night and they are ferocious. They are very difficult and expensive to get rid of. Why are we having bedbug problems all of the sudden? Many people say you can thank groups like the Sierra Club and the EPA. They petitioned congress to get rid of household pesticides like Sevin that had been proven very safe for a homeowner to use. Now, there is nothing a homeowner can use to stop these pests. Even professional applicators are having trouble finding effective pesticides, other then pesticides high temperatures is the only other way to kill both the bugs and their eggs. The Midwest seems to be ground zero in the battle to rid these parasites from the role of our being our unwanted companions. Dominating the list, of areas with the most infestations are three cities from Ohio. The problem there is so bad that the state unsuccessfully petitioned the EPA to allow in-home use of propoxur, a pesticide banned in the 1990s to treat the pests. The fear is that propoxur might work for a few years but that it would select for the genetically resistant bedbugs, meaning in the future, bedbugs would be right back with infestations that would be even harder to eradicate. This list shows that bedbugs continue to be a problem throughout the U.S. Ron Harrison, Ph.D., Orkin entomologist and Technical Services Director said in a statement. “Based on the diversity of cities on the list, we all need to be very cautious when we travel — whether it is business or pleasure, or to visit family, friends or vacation.” Bedbugs are about the size and color of a flat apple seed, and are found not only on mattresses and upholstery, but in suitcases, boxes, shoes, wallpaper and headboards. Harrison stresses that it’s important to be vigilant and take proper precautions wherever you are. It’s a common misconception that sanitation is a factor in developing the tiny pests. The National Pest Management Association conducted an international study earlier this year that revealed 95 percent of the U.S. pest-management companies surveyed encountered a bedbug infestation in the last year. Before 2000, just 25 percent of companies surveyed had encountered bedbugs. What’s behind the resurgence? Experts point to increased travel, greater resistance to insecticides, and lack of societal awareness. As well, the tiny red bugs bear a stigma that discourages tenants, landlords, and hotels from reporting infestations, add to this that no one looks favorably on a building that has had a bedbug infestation. As a landlord who has had one encounter with these pest I confirm they are no laughing matter. If you have ever seen pictures of anyone that has been severely nibbled at by these pest you realize this in nothing to take lightly, bedbugs can greatly reduce ones quality of life. In the past the stigma of getting bedbugs was a private issue but the pesky parasites are becoming an increasingly public problem. Infestations are now expanding and moving from residential to commercial properties. A survey Orkin commissioned with the Building Owners and Managers Association International earlier this year produced staggering results: one in 10 respondents reported bedbug incidents on commercial property. Orkin’s commercial business tripled last year, while its residential business “merely” doubled. So to put this post to bed, the reason I mentioned Bedbugs as a Black Swan is because if you take a moment imagine how these pesky little monsters could force us to change and alter our lifestyles. Their potential to disrupt our lives is shocking. If they continue to get a foothold in our lives, and and are able to expand their domain, the cost to control them could become massive. Bedbugs have the potential to crimp our daily routines, impacting even decisions to have a group on friends into our home, or limiting our ability to move freely without fear that we will pick up these unwanted hitchhikers. As long as a mutant strand on bedbugs does not become resistant to heat there is hope, but it is ironic that global warming may be our only salvation. Society must find a better way to distribute labor and the rewards of labor. This would give more people a path to finding real and fulfilling work. The cost of inequality is taking a toll on our culture. Robots and new technology have streamlined and increased productivity and at the same time eliminated many jobs. Big business is good for big business but not necessarily for the masses. Consolidation often means a gain in efficiency, but this often comes at the cost of losing diversity and a "robustness" to both society and the economy. The benefits of efficiency sometimes have a huge hidden cost, in the 1993 movie Demolition Man in the future "everything is Taco Bell". How the fruits of labor are divided is important, this includes not just the wage deserved by a common laborer, but how much those in management, top CEO's, and those that can't, or choose not to work, receive. While we have become far more efficient in producing goods, all people should in their lifetime contribute to the good of society and the economic pie. Choosing not to work and live off the labor of others is theft. In principle, for any nation seeking fairness and equal opportunity for its people to grow and prosper inequality is an issue. Today wage stagnation is in part contributed to the financial crisis. During the Bush-era, cheaper credit papered over the problem for a while but it set America up for a terrible crash. Avoiding a repeat requires fixing the structural drivers of widening inequality. This means we must raise wages at the low end of the scale but a legislated rise in the minimum wage is not the answer. The only way a hike in the minimum wage “works” is if it creates incentives to increase labor productivity. A mandated increase in wages does not necessarily produce those incentives, but policies that support and create small businesses move in this direction. Taxation policies often draw the most attention, but this discussion should not be about taking away and redistributing wealth but more about positioning the average person with an opportunity to earn and reach "the good life". Non-free market societies often fail because of the problems they have in adjusting supply to demand. This ability to adjust is the core strength of free markets, and we should not weaken this with bad government or economic policy. In the past improved seeds, mechanization, planting, and harvesting techniques enable fewer people to produce more food. Greater productivity lowers relative prices. But for food and manufactured goods, lower prices do not always stimulate a corresponding rise in demand. How many refrigerators, after all, do consumers want? Again, in economics lingo, demand for manufactured goods is “price inelastic,” a 10 percent fall in prices does not increase demand 10 percent, but lower prices for manufactured products frees up money to spend on services, such as healthcare, education, travel, and more. When wages go up some industries respond by increasing automation and reduce the number of jobs, this increases productivity per worker-hour. Another option is to move jobs overseas to take advantage of lower labor cost which could also increase efficiency but in the long run, this will cost America dearly. All else being equal higher wages would increase unemployment in the short term and make America less competitive in the global market. Under the current conditions, where overall demand is low, an increase in the minimum wage would amount to redistribution to those most-likely to consume, if they did not see their jobs vanish. This would mean an increase in demand but we could still see it result in the loss of jobs. Any increase in wages would impact small business and labor intense companies the most, and this would directly impact future job creation. Some sectors of the economy find it harder to increase productivity than others, or have fewer incentives to do so. The government's inability to allow the US Postal Service to drop Saturday delivery is a perfect example. Another sector that could be particularly problematic if minimum wages are mandated higher is health-care. From orderlies to receptionists, janitors, and home health-care aids, there are a lot of low-wage workers employed in the health-care sector. With so much of health-care spending socialized the incentives to innovate in response to a mandated rise in wages will not function. The initial impact of a hike in the minimum wage would likely be a spike in health-care inflation. Given the way Medicare and Medicaid work it would also lead to an immediate spike in Federal spending thus increasing the federal deficit. It seems that the answer is in finding a better way for society and us as a nation to share the economic pie. If the average wage for a worker of a company earns $25,000 per year, it is inconceivable that the CEO of that same company makes 5 million a year or is worth 200 times that of the average employee. At the same time, it is unfair or inconceivable that a person by virtue of merely being born can place themselves on the government teat and not work or raise a hand in toil to help themselves or their fellow man. It is economic insanity to create systems where people are almost encouraged to surrender and drop personal responsibility and transfer it to the state. By its nature the free enterprise system destroys unproductive and wasteful jobs, the exception is when it comes to situations that allow the government to distort this outcome. If in fact, we are an intelligent species we should have some type of hope that this can be sorted out. I suspect it will be addressed but until it is expect tough sledding ahead. Footnote #2; Below is a post on the related subject of unemployment and its effect on our culture and society. I often forget that what may seem familiar to me or even many Americans is not always common knowledge, sometimes it is just a fact that has been drilled into me over and over. To those who are unfamiliar with the term Ponzi Scheme or just would like to know more about where it originated and such please read on. The Ponzi Scheme is a fraudulent investment operation that pays returns to its investors from their own money or the money paid by subsequent investors and not from profits it earns. 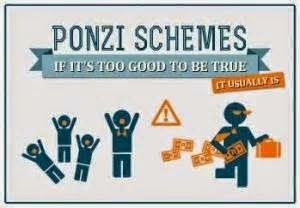 The Ponzi scheme usually entices new investors by offering higher returns than other investments. The perpetuation of the high returns requires an ever-increasing flow of money from new investors to keep the scheme going. The system is destined to collapse because the earnings, if any, are less than the payments to investors. The scheme is named after Charles Ponzi who became notorious for using the technique in 1920. While Ponzi did not invent the scheme that was described in novels as far back as the 1850s his operation took in so much money that it gained massive notoriety. Usually, the scheme is interrupted by legal authorities before it collapses because as more investors become involved, the likelihood of authorities taking notice increases. Born in Italy Charles Ponzi arrived in Boston aboard the S.S. Vancouver,On November 15, 1903, he had $2.51 in his pocket, having gambled away the rest of his life savings during the voyage. "I landed in this country with $2.50 in cash and $1 million in hopes, and those hopes never left me," he later told The New York Times. He quickly learned English and spent the next few years doing odd jobs along the East Coast, eventually taking a job as a dishwasher in a restaurant, where he slept on the floor. He managed to work his way up to the position of waiter but was fired for shortchanging the customers and theft. For the next few months, he worked at a number of businesses, including his father-in-law's grocery, before hitting upon an idea to sell advertising in a large business listing to be sent to various businesses. Ponzi was unable to sell this idea to businesses, and his company failed soon after. A few weeks later, Ponzi received a letter from a company in Spain asking about the catalog. Inside the envelope was an international reply coupon (IRC), the purpose of the postal reply coupon was to allow someone in one country to send it to a correspondent in another country, who could use it to pay the postage of a reply. He asked about it and found a weakness in the system which would, in theory, allow him to make money. IRCs were priced at the cost of postage in the country of purchase, but could be exchanged for stamps to cover the cost of postage in the country where redeemed; if these values were different, there was a potential profit. Inflation after World War I had greatly decreased the cost of postage in Italy expressed in U.S. dollars so that an IRC could be bought cheaply in Italy and exchanged for U.S. stamps of higher value, which could then be sold. Ponzi claimed that the net profit on these transactions, after expenses and exchange rates, was in excess of 400%. He would legally profit by buying an asset at a lower price in one market and immediately selling it in a market where the price is higher. Ponzi borrowed money and sent it back to relatives in Italy with instructions to buy postal coupons and send them to him. However, when he tried to redeem them, he ran into an avalanche of red tape. Undaunted, Ponzi went to several of his friends in Boston and promised a 50% profit within 45 days, or 100% profit within 90 days, by buying discounted postal reply coupons in other countries and redeeming them at face value in the United States. Some people invested and were paid off as promised, receiving $750 interest on initial investments of $1,250. Soon afterward, Ponzi started his own company, the "Securities Exchange Company," to promote the scheme. As word spread, investors came in at an ever-increasing rate. Ponzi was able to hire agents and paid them generous commissions for every dollar they brought in. By February 1920, Ponzi's total take was US$5,000, (approximately US$54,000 in 2010 dollars). By March, he had made $30,000 ($324,000 in 2010 terms). A frenzy was building, and Ponzi began to hire more agents to take in money from all over New England and New Jersey. At that time, investors were being paid impressive rates, encouraging others to invest. By May 1920, he had made $420,000 ($4.53 million in 2010 terms). He began depositing the money in a small bank, the Hanover Trust Bank of Boston in the hope that once his account was large enough he could impose his will on the bank or even be made its president; he bought a controlling interest in the bank through himself and several friends after depositing $3 million. By July 1920, he had made millions. People were mortgaging their homes and investing their life savings. Most did not take their profits but reinvested. Ponzi was bringing in cash at a fantastic rate, but the simplest financial analysis would have shown that the operation was running at a large loss. As long as money kept flowing in, existing investors could be paid with the new money. This was the only way Ponzi had to pay off those investors, as he made no effort to generate legitimate profits. Ponzi lived luxuriously: he bought a mansion in Lexington, Massachusetts, with air conditioning and a heated swimming pool. He maintained accounts in several banks across New England besides Hanover Trust. He also brought his mother from Italy in a first-class stateroom on an ocean liner. When a Boston financial writer suggested there was no way Ponzi could legally deliver such high returns in a short period of time, Ponzi sued for libel and won $500,000 in damages. Libel law in those days placed the burden of proof on the writer and the paper, his win neutralized any serious probes into his dealings. Still signs of his eventual ruin remained, Joseph Daniels, a Boston furniture dealer who had given Ponzi furniture earlier when he could not afford to pay for it sued Ponzi, it started people asking how Ponzi could have gone from being penniless to being a millionaire in so short a time. On July 24, 1920, the Boston Post printed a favorable article on Ponzi and his scheme that brought in investors faster than ever. At that time, Ponzi was making $250,000 a day. Ponzi's good fortune was increased by the fact that just below this favorable article, which seemed to imply that Ponzi was indeed returning 50% return on investment after only 45 days, was a bank advertisement that stated that the bank was paying 5% returns annually. The next business day after this article was published, Ponzi arrived at his office to find thousands of Bostonians waiting to invest. On July 26, the Post started a series of articles that asked hard questions about the operation of Ponzi's money machine. The Post contacted Clarence Barron, the financial analyst who published Barron's financial paper, to examine Ponzi's scheme, he then noted that to cover the investments made with the Securities Exchange Company, 160 million postal reply coupons would have to be in circulation. However, only about 27,000 actually were. The United States Post Office stated that postal reply coupons were not being bought in quantity at home or abroad. The gross profit margin in percent on buying and selling each IRC was colossal, but the overhead required to handle the purchase and redemption of these items, which were of extremely low cost and were sold individually, would have exceeded the gross profit. The stories caused a panic run, Ponzi paid out $2 million in three days to a wild crowd outside his office. He canvassed the crowd, passed out coffee and donuts and cheerfully told them they had nothing to worry about. Many changed their minds and left their money with him. However, this attracted the attention of the United States Attorney for the District of Massachusetts who commissioned Edwin Pride to audit the Securities Exchange Company's books, an effort made difficult by the fact his bookkeeping system consisted merely of index cards with investors' names. In the meantime, Ponzi had hired a publicity agent, William McMasters, he later described Ponzi as a "financial idiot". Finding several highly incriminating documents that indicated Ponzi was merely robbing Peter to pay Paul, he went to his former employer a paper that offered him $5,000 for the story. On August 2, 1920, McMasters wrote an article for the Post declaring Ponzi hopelessly insolvent. It claimed that while Ponzi claimed $7 million in liquid funds, he was actually at least $2 million in debt. With interest factored in, Ponzi was as much as $4.5 million in the red. The story touched off a massive run on August 11, it all came crashing down for Ponzi. First, the Post came out with a front-page story about his activities in Montreal years earlier, including his forgery conviction and his role at Zarossi's scandal-ridden bank. That afternoon, Bank Commissioner Allen seized Hanover Trust after finding numerous irregularities in its books. This move foiled Ponzi's last-ditch plan to "borrow" funds from the bank vaults after all other efforts to obtain funds failed. With reports that he was due to be arrested, Ponzi surrendered to federal authorities on August 12 and was charged with mail fraud for sending letters to his marks telling them their notes had matured. He was originally released on $25,000 bail, but the bail bondsman withdrew the bail due to concerns he might be a flight risk. The news brought down five other banks in addition to Hanover Trust. His investors received less than 30 cents to the dollar. His investors lost about $20 million in 1920 dollars ($225 million in 2011 dollars). As a comparison, Bernie Madoff's similar scheme that collapsed in 2008 cost his investors about $13 billion, 53 times the losses of Ponzi's scheme. Ponzi spent the last years of his life in poverty. His health suffered, a heart attack in 1941 left him considerably weakened, his eyesight began failing, and by 1948, he was almost completely blind. A brain hemorrhage paralyzed his right leg and arm. He died in a charity hospital in Rio de Janeiro, in early 1949. In one last interview to an American reporter, Ponzi said, "Even if they never got anything for it, it was cheap at that price. Without malice aforethought, I had given them the best show that was ever staged in their territory since the landing of the Pilgrims! It was easily worth fifteen million bucks to watch me put the thing over. So, there it is, a cautionary tail, and a note to be careful out there. Caveat emptor - buyer beware! Footnote; The post below deals with the changing value of an item, hope you find it interesting. When Government wins approval to raise taxes or allows a utility to increase rates it often means that they will lose tomorrow. The public school system in the city where I live won voter support to increase taxes in a recent election with the money to be used for school building renovation. The primary election had very light turnout, and substantial amounts of money was spent by companies that stood to benefit, the media also supported the referendum. Those behind the school building renovation wanted more money to be spent, thus they talked about how it would create jobs in the companies doing the work and provide a better environment for the children. Few talked about how as the taxes, utilities and other hidden cost rise in an area it losses its ability to attract new businesses. This points to a delicate balance and a reason for prudence, government should spend the tax payers money with eyes and recognizing the need for a positive long term return. This is not an isolated event, we see this type of decision playing out time and time again, year after year. Often it has to do with sport complexes, stadiums, or poorly planned infrastructure projects. Irresponsible governments and voters not looking forward to see the ramification of their actions down the road, is why governments across the world are going bankrupt and unable to pay their debts. It can be high taxes, water rates, or the cost of power, any of these things can make an area more or less competitive. In the case of my local school renovations, how necessary were they? Will business in the city gain by better educated and healthy children or will jobs be lost as companies leave the city when taxes and cost go up? Most people do not look into the future. When consumers move purchases to online exploiters like Amazon and away from local brick and mortar stores they often think they are saving a few pennies, and not the big loss in local jobs represented going forward. The pool of money the IMF loans and redistributes around the world helps to stabilize countries if they are failing or economically unstable. But many people do not understand who, and how they are funded. While the IMF exerts a fair amount of influence, it is political in nature and pushes the way the wind blows. This bring up the issue and questions as to how muddled this system is. With a loud voice the IMF is overrated, it often uses only a small amount of money to make the very desperate march in line, at times this means not solving problems but helping to kick the can down the road. Who and what is the IMF? We all know IMF stands for, the International Monetary Fund (IMF) is an organization of 188 countries, working to foster global monetary cooperation, secure financial stability, facilitate international trade, promote high employment and sustainable economic growth, and reduce poverty around the world. It is a way for rich nations like the United States to manipulate, redistribute or loan money to troubled nations without putting the issue out in the open. As an institution the IMF acts as a mechanism to stabilize the world economy, it is merely an expensive mouthpiece for the worlds economic powers seeking stability, its goal to shore up the weak, thus protecting loans about to default. The mechanisms of economic stabilizers, can be used to move, support or break currency trends, some more quietly then others. Currency swaps, both reported, and "unreported" can lead to games, abuses, and the false illusion of stability. For example, Goldman Sachs helped Greece raise over a billion dollars of off- balance-sheet funding in 2002 through a currency swap. This allowed the government to hide debt. Greece had previously succeeded in getting approval to join the euro on 1 January 2001, in time for the physical launch in 2002, looking back we now see this was done by faking its deficit figures. When the IMF weighs in it adds validity to the message rich countries want to promote, this is often the message of "be responsible". The amounts of loans and monies promised often do not appear large to many of us. Why do these numbers seem so small? You might think that it is because these countries are so very small, another possibility is America is just 'crazy stupid" in the way they spend and treat money. With the dollar being the reserve currency of the World we have become a bit warped, it is hard to internalize how large a store of value a billion dollars represents. The International Monetary Fund (IMF) says there is no "single bullet" that will fix many of the worlds economic ills. For example what recipe will allow Caribbean countries to deal with their various problems such as high debt, low growth, mitigation of vulnerabilities and strengthening financial system. The IMF notes that growth in the Caribbean has stagnated in the last two decades, except in commodity exporters. The IMF is currently involved in Cyprus, Tunisia, Argentina, Ireland, Greece,and many more countries, guiding and tweaking their economic policies. In Egypt, after two years of political upheaval, foreign currency reserves have fallen to critically low levels, limiting their ability to buy wheat, and fuel. Foreign reserves dipped further to $13.4 billion at end-March, the central bank reported, down from $13.5 billion a month earlier, equivalent to less than three months' imports. Cairo must convince the global lender it is serious about reforms aimed at boosting growth and curbing an unaffordable budget deficit. That implies tax hikes and politically risky cuts in state subsidies for fuel and food, including bread. The government reached a preliminary agreement with the IMF on the loan last November but went back on implementing the economic conditions. For the advanced economies as a group, the IMF is now expecting a slightly slower recovery than it was in January, with growth of 1.2% in 2013 and 2.2% in 2014. One major problem is that of late the International Monetary Fund has been putting out conflicting statements. Often their positions appear to be "all over the board" this leads me to believe that while the IMF tries to plug holes and put out fires, they are behind the curve. While managing director Christine Lagarde is popular the agency lacks answers for the worlds cash-strapped. Several years ago Lagarde while on the Jon Stewart Daily Show bragged and conceded how bad thing were at the depth of the crisis and how they were forced to lie about it, this does wonders for my confidence in the system. Bottom line the IMF is behind the curve in a fast changing world and simply a tool for rich countries to promote their agenda, the IMF does not have all the answers. Footnote; While pushing and putting pressure on Europe from the bully pulpit, the IMF lacks the ability to solve really big problems like those facing the euro. Corruption is thriving in China, this tends to weaken transparency and bring into question how much faith you should have in its government. In Shanghai and Beijing, where big corruption scandals involving top officials have been exposed in recent months, new cases of alleged high-level wrongdoing are still coming to light. In Beijing the state-owned media reported last week that Zhou Liangluo, the chief of Haidian district, home to many of the city's universities and high-tech companies, had been detained for allegedly engaging in shady property deals. In Shanghai it emerged earlier this month that Yin Guoyuan, a former deputy head of the housing bureau, was being investigated for similar reasons. China recently charged former railways minister Liu Zhijun with corruption and abuse of power, it is the latest step in a graft investigation into the scandal-plagued railways. In the case of the former railways minister he faces either a lengthy jail sentence or possibly death, how severely he is dealt with will be an indicator of how seriously new Chinese President Xi Jinping Xi takes his fight on corruption. Liu “practiced favoritism and carried out malpractice, misused his power and caused big losses to public property and the interests of the state and the people”, the official Xinhua news agency said. “As a worker for the state, Liu Zhijun used his position to help others seek gain, illegally accepted wealth and assets from other people. The numbers involved were huge and the circumstances very serious,” Xinhua added. Liu took huge bribes and misused his position to help the chairman of an investment company get enormous illegal profits. Scandals such as these have stoked debate within the Communist Party and more widely in China about the need for better ways of dealing with corruption. Failure to contain wide spread corruption among Chinese officials poses one of the most serious threats to the nation’s future economic and political stability, says a new report from the Carnegie Endowment. Minxin Pei, an expert on economic reform and governance in China, argues that corruption not only fuels social unrest and contributes to the rise in socioeconomic inequality, but holds major implications beyond its borders for foreign investment, international law, and environmental protection. Pei paints a sobering picture of corruption in China, where roughly 10 percent of government spending, contracts, and transactions is estimated to be used as kickbacks and bribes, or simply stolen. Pei examines the root causes for China’s rampant corruption, slow economic reforms, lax enforcement efforts, and reluctance by the Communist Party to adopt political reforms, he expresses concern that the ensuing economic losses are jeopardizing financial stability. He notes that even though the Chinese government has more than 1,200 laws, rules, and directives against corruption, implementation is spotty and ineffective. Few corrupt officials go to jail, less than three percent, this makes corruption a high-return, low-risk activity, even low-level officials have the opportunity to amass an illicit fortune. The amount of money stolen through corruption scandals has risen exponentially since the 1980s, it is concentrated in sectors with extensive state involvement, such as infrastructure projects, real estate, government procurement, and financial services. The absence of competitive political process and a free media make these high-risk sectors susceptible to fraud, theft, kickbacks, and bribery. The cost of corruption is incalculable. "Crony communism" and the corruption that comes with it undermines social stability and sparks tens of thousands of protests each year. It contributes to China’s environmental degradation, deterioration of social services, rising cost of health care, housing, and education. China’s corruption also harms Western economic interests, particularly foreign investors who risk environmental, human rights, and financial liabilities, and must compete against rivals who engage in illegal practices to win business in China. He says the U.S. government should devote resources to tracking reported cases of corruption in China, increase legal cooperation with China to prevent illegal immigration by corrupt officials and money laundering, and insist on reforms to China’s law-enforcement practices and legal procedures. Despite much anxious rhetoric, the Communist Party is not on the brink of collapse, but the anger it generates among the people and how party members actions are so at odds is it with the ideals the party espouses. Still it appears that China's leaders are in no mood for serious reform. While it has not yet derailed China’s economic rise, sparked a social revolution, or deterred Western investors, it would be foolish to conclude that the Chinese system has an infinite capacity to absorb the mounting costs of corruption. Eventually, growth will falter. With ghost cities, and a banking system that can not be trusted, I content that the reason that inflation is easing in China may be the result of domestic demand waning. This could be the first signs of a hard landing. As China continues to produce funny, fuzzy, and flimsy numbers the world will begin to question and eventually lose faith in its flawed system. We may now be seeing the first cracks are beginning to show. The Postal Service has again backpedaled on its plan to end Saturday mail delivery, when it recently conceded that its gamble to compel congressional approval had failed. With limited options for saving money, the governing board said the agency should reopen negotiations with unions to lower labor costs and consider raising mail prices. The financially beleaguered board said it's not possible for the Postal Service to meet its goals for reduced spending without altering the delivery schedule. Delaying "responsible changes," the board said, only makes it more likely that the Postal Service "may become a burden" to taxpayers. How Pathetic that this indefensible waste continues. As in past years, the Congressional reaction was mixed, mirroring differences that have stalled a needed postal overhaul for some time. Republican Senator Tom Coburn of Oklahoma and Representative Darrell Issa of California told the USPS Board of Governors to move forward with implementing the switch to five-day-a-week deliveries beginning in August. They point out that the language requiring six-day delivery is vague and does not prohibit altering what products it delivers on Saturdays. Others like Democratic Representative Gerald Connolly of Virginia said in a letter to the Government Accountability Office on Thursday that the Postal Service is still bound by the six-day delivery and that it lacked the legal authority to make the change. Several polls have shown a majority of the public supports ending six-day delivery of first-class mail. The Postal Service has said that while it would not pick up or deliver first-class mail, magazines, and direct mail, it would continue to deliver packages and pharmaceutical drugs on Saturdays. The plan for a new delivery schedule would respond to customers' changing needs and help keep the Postal Service from becoming a burden to taxpayers. A number of lawmakers and trade groups said the plan to cut Saturday mail service is illegal because the Postal Service requires Congress' approval before it makes such a decision. Congress traditionally has included a provision in legislation to fund the federal government each year that has prevented the Postal Service from reducing delivery service. The Postal Service had asked Congress not to include the provision this time around. Despite the request, the House of Representatives on Thursday gave final approval to legislation that maintains the provision, sending it to President Barack Obama to sign into law. The Senate approved the measure on Wednesday. So again, as America sits mired in debt with a growing deficit, our government has failed to take a simple commonsense step to correct the problem. This also means you, Mr. President, again you have failed to step up to the plate and provide leadership. When does a message or communication become propaganda? When we look at the definition of propaganda we find it is a form of communication that is aimed towards influencing the attitude of a community toward some cause or position by presenting only one side of an argument. Propaganda is usually repeated and dispersed over a wide variety of media in order to create the chosen result in audience attitudes. Today a program at the White House creates a message by spinning, scrubbing, molding, and shaping it, they then send it out to the public. They often go as far as to make a, "call to action", where those listening are encouraged to push forward their agenda. This is one of the ugly realities of modern communication, the ability to send out millions of messages directly and unfiltered, lends itself to be used in unsavory ways or to gain advantage. This becomes a real problem when one person or a small group controls the message and uses an army of tax paid employees to shape, spin, and send it forth. Capitalizing on the possibilities of the digital age, the Obama White House is generating its own content like no president before, and refining its media strategies in the second term in hopes of telling a more compelling story than in the first. This takes the idea of the bully pulpit to a new and dangerous level. In many ways the massively expanded White House program might be considered a "tax payer funded Propaganda Machine". Equally or more distressful is the way media is treated or discredited if the fail to fall into lockstep and promote the message. As you might expect the White house program invariably cast the president as commanding, compassionate, and in a positive light. In the world that the White House has crafted Obama’s family is always photogenic, first dog Bo is always well-behaved and the vegetables in the South Lawn kitchen garden are always fresh. You’ll have to look elsewhere for bloopers, bobbles or contrary points of view, the messages coming forth are polished, flattering, and unscrutinized. At the same time, the White House is limiting press access in ways that past administrations wouldn’t have dared, and the president is answering to the public in more controlled settings than his predecessors. It’s raising new questions about what’s lost when the White House tries to make an end run around the media and begins functioning, in effect, as its own news agency. President Obama himself took note of complaints about the limited access the media has to him in his jokes last month at the Gridiron dinner, an annual event where political leaders, journalists and media executives poke fun at one another. Sadly humor does not change the fact that the media is losing its ability to inform us about the news. Mike McCurry, who served as press secretary to President Bill Clinton, sees an inclination by the Obama White House to “self-publish,” coupled with tactics “I never would have dreamed of in terms of restricting access” for independent news organizations. McCurry went on to say “What gets lost are those revealing moments when the president’s held accountable by the representatives of the public who are there in the form of the media". In short a wall is being built between the President and the people that lessens the transparency so necessary in a democracy. The first thing that is lost when the White House takes control of the statements being put forth is the truth. Recently a firestorm erupted when well respected reporter Bob Woodward disagreed with the White House's stand, and he was in effect threatened. In the flap over the Bob Woodward-White House exchange, three things have become evident. First, the White House does try to bully the media. Second, there are a number of left-leaning pundits whose instant reaction in any controversy is to defend the White House. Third, we are reminded how dishonest the White House has been on sequester cuts. This leaves me feeling uneasy and questioning where else the truth has been swept under the carpet, to make it worse, it is being done on the tax payers dime. Austerity Gets A Bum Rap! In reality blaming the medicine for illness taken after someone becomes sick does not make sense. Austerity is a term that recently has been given all kinds of negative connotations because it is often painful. Economic growth tends to mask a multitude of problems, in economics austerity refers to cutting spending often by lowering and reducing the number of benefits and public services. Austerity policies are often used by governments to try to reduce their deficit spending. Spending cutbacks are sometimes coupled with increases in taxes in an effort to demonstrate long-term fiscal solvency to creditors. It is easy to point your finger at measures taken to reduce runaway or wasted spending and blame them for creating a reduced spending spiral but that is unfair. Supporters of austerity predict that a major reduction in government spending can change future expectations about taxes and government spending, encouraging private consumption and resulting in overall economic expansion. Critics argue that, in periods of recession and high unemployment, austerity policies are counter-productive, because. reduced government spending can increase unemployment, reduced government spending reduces GDP, which means the debt to GDP ratio examined by creditors and rating agencies does not improve and short-term government spending financed by deficits supports economic growth when consumers and businesses are unable to do so. Austerity measures are typically taken if there is a threat that a government cannot honor its debt liabilities. Such a situation may arise if a government has borrowed in foreign currencies that they have no right to issue or if they have been legally forbidden from issuing their own currency. In such a situation, banks and investors may lose trust in a government's ability and/or willingness to pay its obligations and either refuse to roll over existing debts or demand extremely high-interest rates. One reason austerity is unpopular is that it is often painful to the people and the voters. Social spending programs are often targeted for cuts. Taxes are raised, port and airport fees, train and bus fares are common sources of increased user fees. Retirement ages may be raised and government pensions reduced. In many cases, austerity measures have been associated with public protest and claims of a significant decline in the standard of living. The argument by contemporary Keynesian economists that budget deficits are appropriate when an economy is in recession bolster this movement. They claim it reduces unemployment and helps spur GDP growth, and that in an economy one person's spending is another person's income. If everyone is trying to reduce their spending, the economy can be trapped in what economists call the paradox of thrift, worsening the recession as GDP falls. If the private sector is unable or unwilling to consume at a level that increases GDP and employment sufficiently, thus the argument often heard that the government should spend more, and not less. In fact, many economists argue that austerity measures do not necessarily increase or decrease economic growth. All attempts by central governments to prop up asset prices, bail out insolvent banks, or "stimulate" the economy and deficit spending make stable growth less likely. Often the typical goal of austerity is to reduce the annual budget deficit without sacrificing growth. Over time, this should reduce the overall debt burden, as the economy grows. Blaming austerity for the blow-back from governments living beyond its means is more than unfair, we should at all times conduct business and run our government with responsible reigns on spending. If a government spends and runs its business in an austere way the issue of when to start cutting or tightening should never surface. This may fall into the category of the strangest post I have written, it concerns a deer that committed suicide in one of my buildings. If you read my bio you would of noticed that I own properties, and that as a landlord I have a hands on approach. This often means that I'm alerted when a problem occurs. I received a call on Sunday afternoon just after 4:30 concerning a break in at an empty retail store that I have the pleasure of owning. The alarm company had dispatched the police after hearing glass being broken, this was followed by a banging sound inside the structure. It was reported and confirmed by the police that windows had been broken, the floor was covered with blood, and the body of a large deer was found in one of the offices. The deer, from now on referred to as Bambi had ran through the front plate glass window and entered the building. Once inside she had flung herself at full speed through a reflective two way mirror. Bambi then died on the office floor. Cause of death was not confirmed, she may of bled to death from the cuts she had sustained, but more likely it was from head trauma or a broken neck. So you have it, another day in a landlords life, this on a Sunday. The police were not allowed to help the officer from animal control carry the body from the office area because it was against department policy. So I was recruited, it was my building, thus my body. I had to question how I got so lucky, why me? We placed Bambi on a tarp to carry her out, but she slid off the tarp after a few feet so we "hoofed her out of there", this means we grabbed her by the legs to a layperson unfamiliar with deer removal. After two hours, boarding up, and cleaning up broken glass, I was left to reflect on the cost of this fun afternoon, as damage in dollar amounts fell under the insurance deductible. I don't remember this as being in the job description. The role of Government in America is changing, over the last several decades we have seen a shift away from Adam Smith’s idea of limited government. This is occurring on federal, state, and local levels. Much of this has been in the form of mandates. Often unfunded mandates are fostered upon businesses, organizations and private citizens. Like a chameleon, often hidden while in plain view, they quietly weave their way into our lives. One cute trick I have noticed is that they tend to support each other, by joining together, and often by collaborating on how to address problems, this adds credibility two all the organizations involved. If unchecked government grows - it is the nature of bureaucracy to expand. Recent advances in the last three decades in our ability to copy, edit, and print have only added to this trend, now government can easily crank out far more paper work and drown us in garbage. Many times we do not even realize that an organization has financial ties and receives funds from government. Roughly a third of money received by charities and non-profit groups flows from government. There is always some new need to be filled or service that would be useful. I for one am concerned that the use of sun-set legislation in underused or the bar set too low when it comes to extending and renewing government bodies. Remember, the best time to kill a monster is when its small! Politicians and bureaucrats, deterred from expanding or funding programs by a few vigilant citizens, wait and find creative ways to reach their objective at a later date. They often grow by creating special bonds, attaching fees to needed services, mandating certain actions, or narrow taxes to fund new authorities, commissions, and districts. These often unneeded quasi government organizations then reach out to expand the influence and power of their directors. A new twist or phrase recently being touted and bantered about is, "private-public partnerships", this is just another step down the slippery slope leading to larger government. Instead of focusing on the business of government and simplicity, a new proactive movement of “cuteness” cloaked in a veil of flexibility and diversity is being expanded, and we are paying the tab. Government is proud of these little pet projects, they allow bureaucrats to experiment and try new things without the personal financial risk that a businessman must take. The problem is that they are being creative on our dime, and if you have not noticed,all around the world governments are running out of money. If robot factories are the future then let them be located in America. While they would not necessarily be a massive creator of jobs they would at least allow us to have control of our own manufacturing. Over the last three decades, robots have become far more common in factories many have become dominated by robots. A typical factory may contain hundreds of robots working on fully automated production lines, often it rolls by on a conveyor a product can be welded, glued, painted and finally assembled at a sequence of robot stations. Robots have replaced humans in the assistance of performing those repetitive and dangerous tasks which humans prefer not to do or are unable to do due to size limitations, or even those such as in outer space or at the bottom of the sea where humans could not survive the extreme environments. Industrial robots are also used extensively for placing products on pallets and packaging of manufactured goods, for example for rapidly taking drink cartons from the end of a conveyor belt and placing them into boxes, or for loading and unloading machining centers. Many have blamed the decline of manufacturing jobs in America and other rich countries on outsourcing, the movement of factories to countries where labor is cheaper. The US like almost every other rich country on the planet manufactures more stuff than it ever has. Manufacturers have replaced workers with machines, they are trading labor for capital. This means the manufacturing workers who remain are many times more productive than their fore-bearers 50 years ago. Robert Lawrence of Harvard and Lawrence Edwards of the University of Cape Town argue in "Rising Tide", that factories have gotten spectacularly more efficient. They produce more goods with fewer people, their "productivity" is rising. Manufacturing employment is shrinking not mainly because jobs are moving "offshore", but because fewer workers are needed. In most advanced countries, even those with strong export sectors, manufacturing's share of jobs has plummeted. From 1973 to 2010, manufacturing's proportion of employment fell from 22 percent to 10 percent in Canada. As software and robots improve they will be able to expand the number of functions that they can perform. It suggests that sooner rather than later, the only people working in factories in rich countries will be those who had the time and money to get college degrees. In the past a large slice of America's middle class used to consist of people who started out working in factories, having only a high school degree and would learn on the job. There are concerns about the increasing use of robots and their role in society. Robots are blamed for rising unemployment as they replace workers in some functions. What has happened in the manufacturing is part of a larger paradox at the heart of America's economy, says Erik Brynjolfsson, director of MIT's Center for Digital Business. "More wealth was created in the past 10 years than ever before in history," he says, "Yet at the same time, millions of people are being left behind. The median worker in the US is poorer now than in the mid-1990's." Not everyone is suffering, skilled workers, for example, are earning more than ever. So are the very rich, those who own the capital that can be put to work in the world's increasingly person-free farms, mines, and factories. But those who used to make middle-class wages are increasingly slipping into lower-paying, service-sector jobs. Foxconn which manufactures the iPhone and many other consumer electronics and is China's largest private employer has plans to install over a million manufacturing robots within three years. Technological change is leading to the automation and about to replace off-shoring as the least expensive way to produce products. Already, China is losing jobs to countries with even lower wages. But eventually, "you run out of places to" chase the (cheap) labor," says Rodney Brooks, chief technology officer of Rethink Robotics, thanks to some very clever engineering, a robot named Baxter only costs $22,000. In the US, a person working full-time at a minimum wage makes $15,080 a year. As robots have become more advanced and sophisticated, experts and academics have increasingly explored the questions of what ethics might govern robots' behavior, and whether robots might be able to claim any kind of social, cultural, ethical or legal rights. It is possible that a robot brain will exist by 2019, others predict robot intelligence breakthroughs by 2050. We must also question the use of robots for military combat, especially when such robots are given some degree of autonomous functions. There are also concerns about technology which might allow some armed robots to be controlled mainly by other robots. The use of robots in military combat raises ethical concerns, the US Navy has funded a report looking into this. The possibility of robot autonomy and potential repercussions has been addressed in fiction and may be a real concern in the future. One thing is certain, robots are taking our jobs and learning new tricks far faster than us humans. Automation and improvements in robots is a job killer, when you add in the dropping cost of replacing often unreliable human workers one must take a dim view of the employment picture going forward, but again I say, if robot factories are the future then let us be wise enough to try everything we can to locate them in America. Chief currency strategist John Kicklighter at DailyFX said in a note that there is no doubting that the scope of this effort is impressive. However, there is a disturbingly easy way it can fall apart on the BoJ – risk aversion. If equities and other richly-priced assets falter, the low yield of yen carry pairs will suffer. This is one of the reasons I again note "currency games have entered the danger zone". Central bankers have gone from managing money supplies and interest rates into the business of trying to create jobs, economies and demand, they are out of their element. Soros also had a few ominous words for Europe a day after Mario Draghi President of the ECB opened a door to a rate cut in May as economists talked about a never-ending slowdown in the austerity-strangled euro-zone. “Japan is trying to escape after 25 years of slow death, from a policy that Europe has just now adopted. So they are moving in opposite directions. Japan is trying to escape and Europe is just starting,” Soros, founder and chairman of Soros Fund Management said. A late update to this article. On May 22, 2013 it was announced that Japan just posted its tenth straight monthly trade deficit as a weaker yen increases the cost of imports more than it helps boost exports. In April, exports rose by 3.8% from a year earlier, while imports gained 9.4%. The deficit of 8.6 billion dollars in April was wider than many economists had forecast. Japan's goal of deliberately weakened the yen to make its goods cheaper abroad and boost demand also makes imports, such as energy, more pricey. The deficit is expected to shrink in coming months, as exports pick up more. The danger some forget is that in our modern world money can cross a border with the press of a key on our computer. Money has gained wings, it can flee and move about with rapid speed, and it can leave destruction in its wake. The first whiff that confidence is fading might start this move. Some of the big questions are, where will it go, and into what kind of asset. I have posted on this issue before, and I caution assuming the value of any asset be it paper representing stock in a company or gold that can be seized as quickly as money in a Cyprus bank. We very much regret having to take this action, particularly during the popular Spring touring season. Please check this webpage for updates regarding this situation, or contact the White House Visitors Office 24 Hour Hotline at (202) 456-7041. The White House Visitors Office . We can put the blame for this highly visible act on several, possible, different people or departments, but the President is residing in "our" White House, as our temporary guest, it is his job to make it assessable to the people, the buck stops with him. When you think that just operating Air Force 1 for an hour cost one hundred and eighty thousand dollars you quickly see what a farce halting the tours is. Shortening just one trip would allow tours to resume. The fact that these games continue to be played says a lot about Washington. I immediately think back as to how Barack Obama gave a "New Year's gift" to returning members of Congress, Vice President Joe Biden and a slew of other federal workers when he recently signed an executive order calling for an end to a years-long pay freeze. By taking this action while many Americans are suffering and America's budget is out of control Obama makes a mockery out of any claims that he is concerned. And if I may share a humorous comment concerning the Federal budget squeeze that came over my screen; *Next Month, the Immigration Service will begin deporting Seniors (instead of illegals) in order to lower Social security and Medicare costs. Older people are easier to catch and less likely to remember how to get back home. Sometimes I must cover my ears as the noise from the markets is becoming to loud to handle. I would like to suggest that surging auto sales might be interpreted as a spooky signal as to what is really happening within our economy. At first glance we see they are on a roll, but we should ask what is driving this market. Pent up demand as cars simply wear out and low interest rates account for much of it, then add consumers wanting to reward themselves after a few hard years. An issue that should not be ignored is that the percentage of retail sales attributed to automobile sales has soared. Many of the new cars hitting the road are really leases which show up as a sale, and many of them may be motivated because an automobile owner faced with a costly repair may be oping for this alternative verses putting money they do not have into their current ride. This allows someone in a weak financial position, such as those living on disability or student loans, to kick the can down the road while putting themselves into an ego boosting vehicle, one that they cannot in reality afford, or need. I contend that super low artificial interest rates are making much of this possible. If I'm correct, much of the idea of "so called pent up demand" is secondary. On a day to day basis I deal with many small business owners it is troubling that they are not buying new vehicles for their personal use. I also think that unlike 2007 when auto and truck sales peaked, individuals are making up a larger portion of these sales then before, with businesses experiencing slow growth they are less excited about adding to their fleets. When looking into car sales it is important to take into consideration that more and more of these automobiles are being produced outside of America, this adds to the trade deficit and creates few jobs here, because of this the benefit to our economy is greatly limited and reduced. This does not necessarily mean sales are reaching some giant bubble and will crash. Vehicles have a limited road life and are always wearing out, but what it may mean is that the upside for more sales to consumers who are not enjoying raising incomes may be waning. This is happening while the ability to produce more cars across the world is increasing, expect margins to fall. Also spelling problems for American car companies is the falling yen. Expect that in the future the recent tailwind from this sector to our GDP may begin to fade. Footnote; I have similar thought as to what is currently driving housing. What make the housing situation more of a problem in the number of "empty" housing units in America.While commentators often talk about the number of units "on the market", they ignore those sitting vacate or in legal limbo. If you have time please read, "What Happens When The Momentum Ends"